What Makes Rustic Hills Baptist Church (RHBC) Distinctive? Caring Culture - Ours is a welcoming, caring family. We take the Biblical mandate to love one another seriously. Our Family Care Groups, our pastoral care, our great fellowship all work together to encourage and lift up the people at RHBC. Balanced Perspective – At the heart of our church is the whole counsel of God. Our balanced ministries include worship, teaching, training, evangelism, missions and service within the context of a Biblical perspective. Baptist Heritage – As an independent Baptist church, we stand firmly on the Word of God, Bible-based principles, and we have no outside controlling ties to denominational organizations. We are in fellowship with the General Association of Regular Baptist Churches (GARBC) nationally and its Colorado Rocky Mountain chapter. Commitment to Reach Out – Both here in the Springs, across Colorado, the US, and around the world, we have a passion to see people come to know Christ as Savior. Biblical Approach – At RHBC, we teach and preach God’s Word. It is the foundation for what we do. 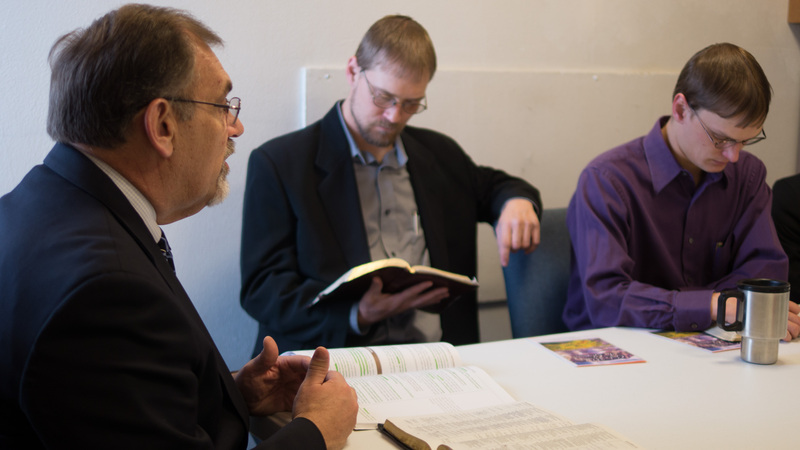 Our ministries emphasize the Bible and its always-fresh impact on life. Emphasis on Training – Spiritual growth is our desire and our goal. We seek to train believers to live for and serve the Lord Jesus. Every class and activity for every age group is designed to help God’s people to grow in their walk with the Lord. To read more about Baptist Distinctives, click here. Historic Baptist doctrine is New Testament truth. It has not changed with the shifting winds of cultural and societal change. The doctrinal statement of this church is, except for some rewording and the Premillennial revision, the same as the New Hampshire Confession of Faith (1833).